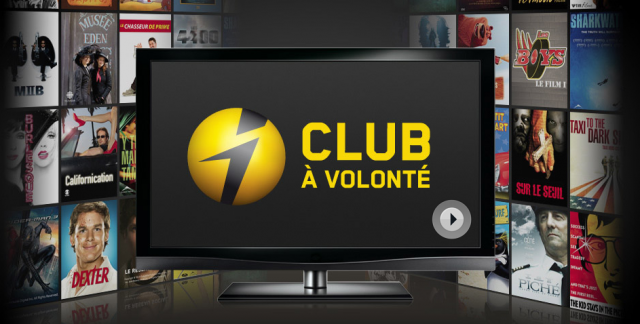 Quebec-based Videotron is growing their media footprint by announcing illico Club Unlimited. This is a Netflix-like service that will officially launch on February 23rd “throughout Québec and Ontario.” The subscription is $9.99/month and to ramp up subs they’re offering up the first month free. As for compatible mobile devices, Videotron noted in their press release that this is availale on the new “illico.tv app for Android tablets.” No word yet on any other platforms, such as iPad, BlackBerry 10 or Windows Phone. In addition, customers can also access illico Club Unlimited via a TV or computer. As for the content, illico Club Unlimited will mainly offer French-language content from the latest movies, TV shows (including kids shows) and documentaries. They’ve managed to secure content rights from Sony, MGM, CBS, Films Seville, TVA Films and Alliance and highlight such titles as Les Boys 2, Spider Man 3, The Social Network, Open Season, Salt, Dexter, Musée Eden, Diana Krall Live in Paris and Dans une galaxie près de chez vous. Look for this to go live in a couple days.